I would like more information about 87 East Lake Drive. 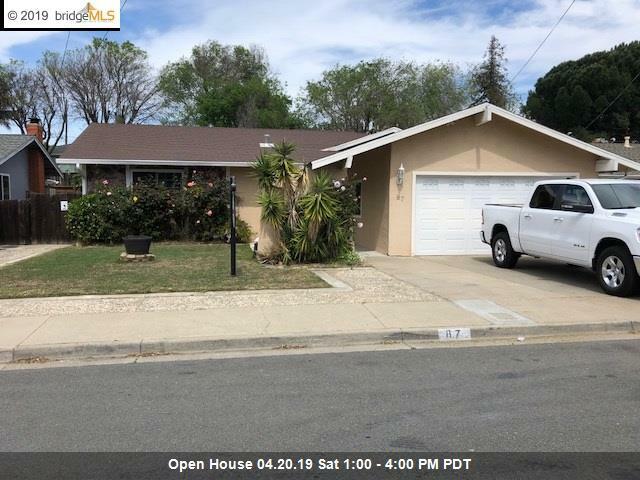 Open house Saturday 4/20 from 1-4. Here is your opportunity to own a four bedroom home in Antioch, very close to the new bart station off Hillcrest. This home offers Four bedrooms, Two baths, large backyard, secluded street. Close to shopping, schools, and hospitals. Great location for commuters, upgraded kitchen, laminate floors and much more. You will not be disappointed in this one.